Here’s the book that the two billion dollar a year kitty litter industry doesn’t want you to know about – a fool proof program. A book on how to Toilet Train your Cat by Paul Kunkel. There there is a will there is a way for almost anything why not toilet train your cat? This book will give you the knowledge and skills to put down your litter scoop and sifter to enjoy a litter free home. Paul Kunkel, who toilet-trained his first cat while in college and who has continued to train his own and his friends’ cats ever since, presents a foolproof, 21-Day-Program for teaching any litter-trained cat between the ages of 6 months and 10 years to use a toilet instead of a litter box. (Older cats can still be trained, but the process will probably take longer.) Requiring nothing more than magazines and/or newspapers, masking tape, heavy-duty plastic wrap, and a supply of fresh litter, the plan begins with you placing the box next to the toilet and, after gradually raising it to the height of the seat, ends with the cat–well, using it like any other member of the family. For life. Along the way, concerned owners learn why toilet-trained cats may be happier and healthier cats. In well-researched, fact-filled text, Kunkel traces the history and behavior of this barely domesticated animal and proves why the box is bad for cats; why many cats equate the smell of a litter box with danger; and why the fragrances, deodorants, dyes, and disinfectants found in most litters are detrimental to your pet’s well-being. Even though this would be great for any cat we decided not to try this on Angel even though she could be a good candidate for toilet training. 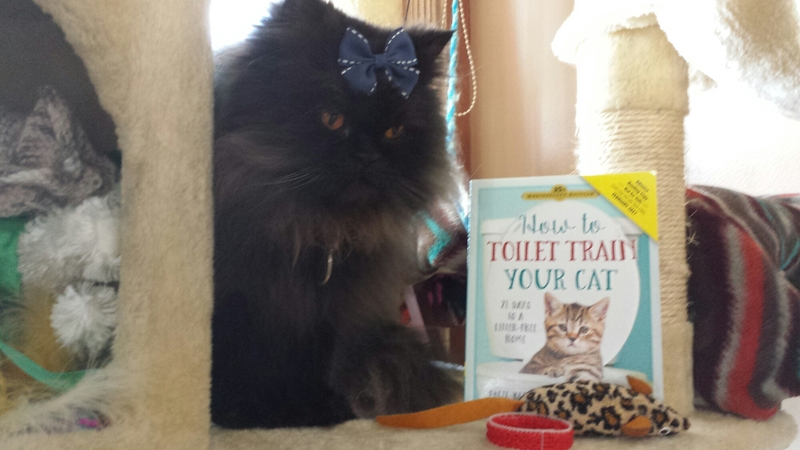 Though we love the ideas of how to train your cat on a toilet and looks very simple process reading through this book. I think it comes down to your lifestyle and preferences. Could you see Angel toilet trained? I could , definitely because she is a fast learner and loves to please us in every way. 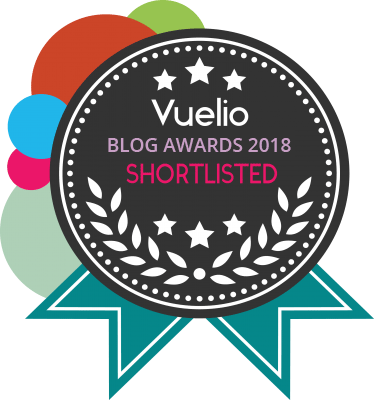 Thank you for stopping by my book post. I really want to know what you think before you go so leave me a message. This entry was posted in Angel's Eyes, Books, Product Reviews and tagged cat, catlovers, cats, cute, funny, katze, katzen, katzenworld, kawaii, ねこ, ﾈｺ, 猫. The issue that everyone I know whose tried this encountered is toilet access: most cats can neither open doors or lids, nor understand the concept of queuing. So, one has to leave the bathroom door open and the lid up, and expect at some forceful attempts to enter. I agree there is some challenges and comprise to toilet training your cat. I’m not sure about this. I have seen instances where it works, but it somehow smacks of us once again trying to ‘humanise’ cats because there are aspects of owning them that we find less acceptable than others, such as litter trays. Our cats evolved from the African Wild Cat Cats, a desert dweller and it could be for this reason that they’re instinctively drawn to sand-like substrates to toilet in. Litter gives them something to dig around in, and importantly, a means of covering up their pee and poo, which from the cat’s perspective may be more acceptable and more comfortable than toileting into a big hole! Thank you for the history of cats and I think it a choice . People found out how smart cats are. If you can train your cat to do it it’s great. I will surely get a copy of this book for my library. But my senior and special needs cat’s can’t handle climbing an American style toilet. For kitttens it would be a drowning hazard too. In the book gives you help on kittens toilet training to help with them falling in. That is very good to know. After all, kittens are easiest to train. Thank you for reviewing the book. So, you risk having cat hair and cat poop on your toilet seat. Many cats drink from clean toilet water after all and are perched on your toilet seat. Maybe the thought of a cat’s feet in poopy and pee-y kitty litter turns you off so you prefer the toilet seat instead? . Especially when the cat hops on the table or counter where you cook and eat. The article said that we choose not to toilet train our cats but it a person choice to choose if they want to or not. It is a good book of knowledge to toilet train. I know one of my cats can pee in the toilet given a chance, the other one has arthritis but I’ve ordered it so we’ll see! Good luck, the book says any cat can be trained in 21 days as long as you work with them for the 21 days. But I understand that your cat with arthritis would be difficult. The question is: “Is cat poop septic tank friendly?” I think not, but I am no expert, but I should be! That is a good question you might want to Google it. My cat socks was toilet train. She was able to urinate in the toilet bowl but defecation was a separate problem due to angle and her balancing being off. However did this for years but I ultimately took her off it as I felt that she was holding her wee in longer as compared to have the litter tray around. I posted a video of her on the toilet bowl in one of my recent posts! Thank you for sharing. I think people should know what could happen depending on the cat. My aunt didn’t even train her cat it just started using the toilet on its own, but that’s because it was originally my Gram’s cat who was used to being an only cat. So when my Gram had to move in to one of those retirement home (not assisted) my aunt took the cat (snowball) in. Snowball learned how to use the toilet on her own! I would love to train my cats to do this. Cat litter pollutes the world by filling in land fill sites and I know my cats don’t like it! This book would help you train them it a step by step. Amazon just sent me an e-mail regarding this book. Funny. I know what would happen in my family, one cat would use the toilet and the other one wouldn’t, so we would still have to have a litter box. Plus, I have a feeling one of them would play in the toilet! That would not be good. Plus . . . since we ALWAYS put the lid down there would be a day we would forget to leave it up and then — poor kitty! Like you said, it might work for some people and their cats! Yeah, like food, they seem to both like one food, but one won’t eat anything else, but the other one will. Silly cats! They do seem to get tired of the same food sometimes it helps to alternate different kinds of flavors.